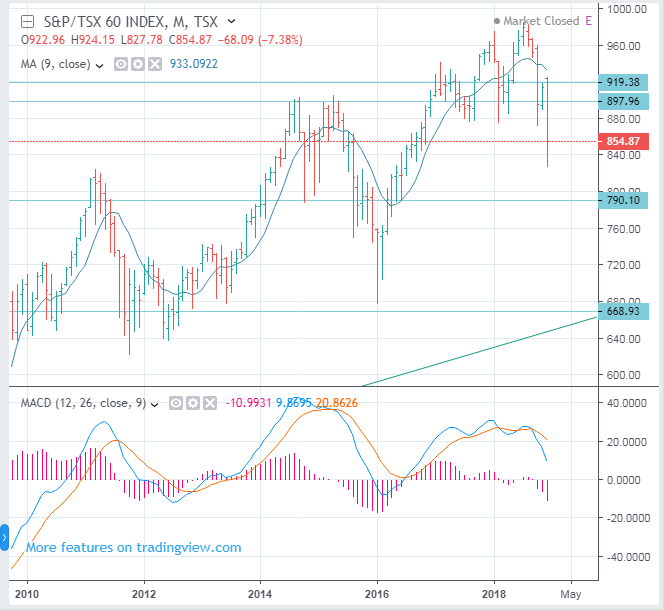 The Canadian stock market has been declining, as expected in June. It is likely to drop more. At this moment, it is better to watch where it rebounds to. If it rebound to about 900, then it seems that we should find opportunity to sell. The Canadian economy is unlikely to improve. However, very few large companies will be better.